As we stated before it is not the intention to discourage anyone from serving the Lord Jesus in any capacity. We are addressing the need to encourage those who are being prepared for maturity and fruitfulness. If we were to ask a plant what they thought or how they felt during pruning time, the plant might scream, “someone is trying to kill me!” However, after the seasons go by, the pruning makes more sense. This material is meant to help explain and encourage every believer as they get pruned. When asked if everyone must go through RKS, I must respond with, “Yes, if you are following in Jesus Christ’s footsteps.” Every believer spends time at RKS sometime in their life. Our school enrollment papers are signed; our tuition has been paid; and the registration desk is waiting for us to officially sign in. Maybe we won’t experience the same depth of suffering as the next guy. However, whatever it takes for us to be pliable in the Master’s hands will come to bear on our life. Is every one of us called to the kind of wilderness experience of a Joseph, Moses or David and Paul? Perhaps not. However I believe every believer is called to advance the kingdom of God in some way with the one life they have been given by the Lord. 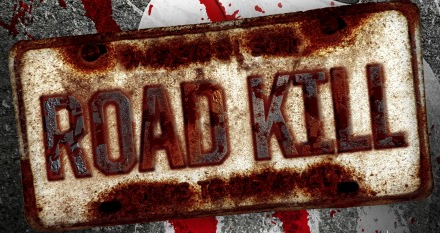 To do this we must undergo the preparation of the Lord at Roadkill Seminary. We cannot do this in our strength. It’s not by might; It’s not by power, but by My Spirit says the Lord, Zechariah 4:6. The way to discover and walk in His Spirit is to remove the obstacle of your old nature and our fleshy efforts; only then can we be used of God to remove the demonic strongholds in our world. At RKS we will be truly liberated from us, and then we will be empowered to minister at a level that truly displaces the enemy. Finally, let me remind all of us that we have “The message” to tell the world, and that is the Gospel of Jesus Christ. But we also each have “a testimony” of what God has worked in our lives. We discover our message while studying at Roadkill Seminary. That is why the Bible says in Revelations 12:11. We overcome the devil by the blood of the lamb (that’s the simple Gospel), and the word of our testimony (that’s our story), loving not our lives unto death (that’s Roadkill Seminary). Posted in Most Popular Articles and tagged Christian Maturity, Discipleship, Jeff Krall, Leadership, Ministry, Roadkill Seminary, Seminary on June 19, 2013 by Jeff Krall.